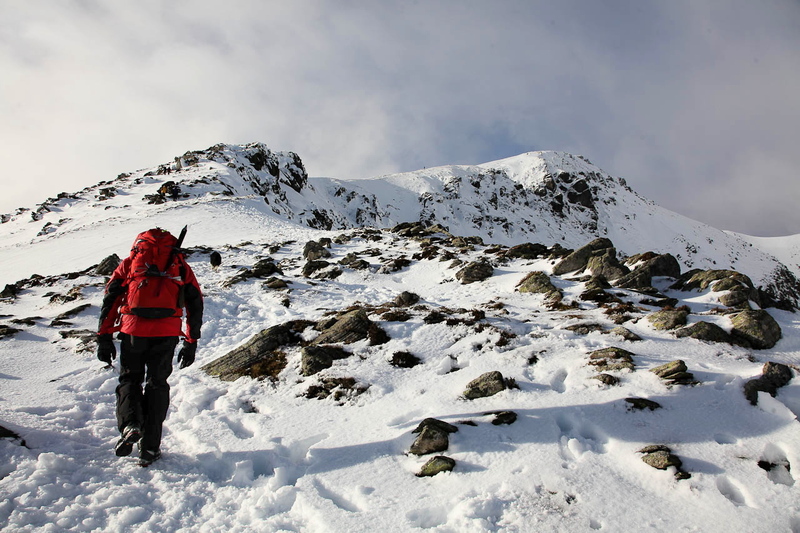 There has been little incentive to head for the higher hills over the past week – strong winds have made walking difficult in the mountains, and wind chill on top of an already cold temperature has made it feel like something silly with a minus in front of it! 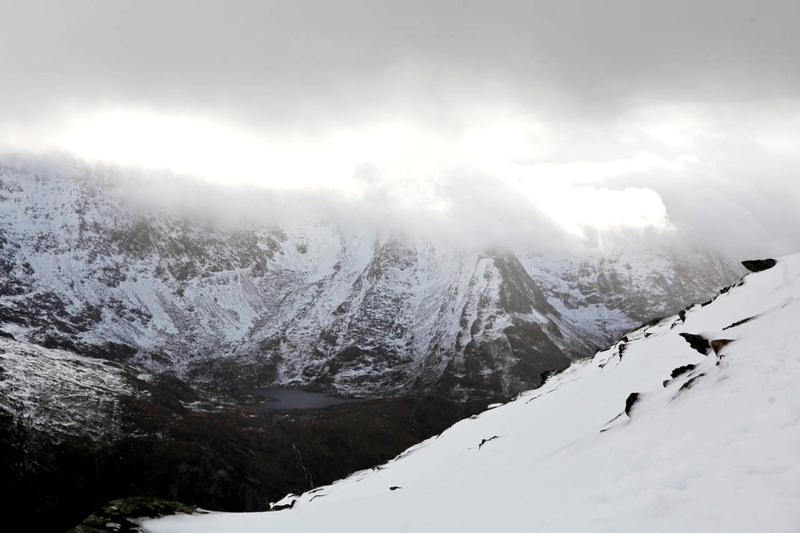 The final factor that made me decide to take some time out was the reported snow conditions, with the possibility of avalanches in Snowdonia, the Lake District and Scotland. 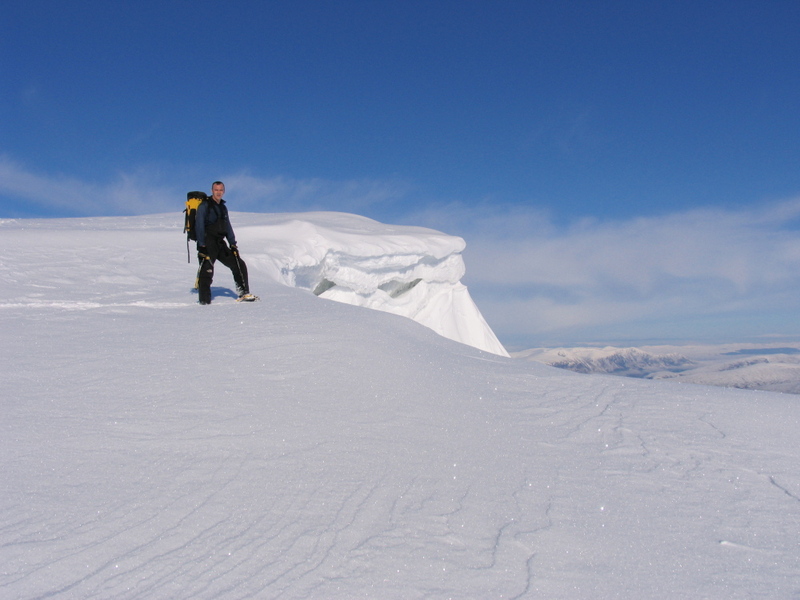 My first experience of avalanche conditions was in Arctic Norway when I was serving in the Royal Marines – I can remember skiing through a forest and the snowpack under my skis suddenly collapsing about 20cms. The forest was our friend that day, as it anchored what must have been a potentially unstable hillside, but for the rest of the night we heard the roar of distant avalanches in the surrounding mountains. 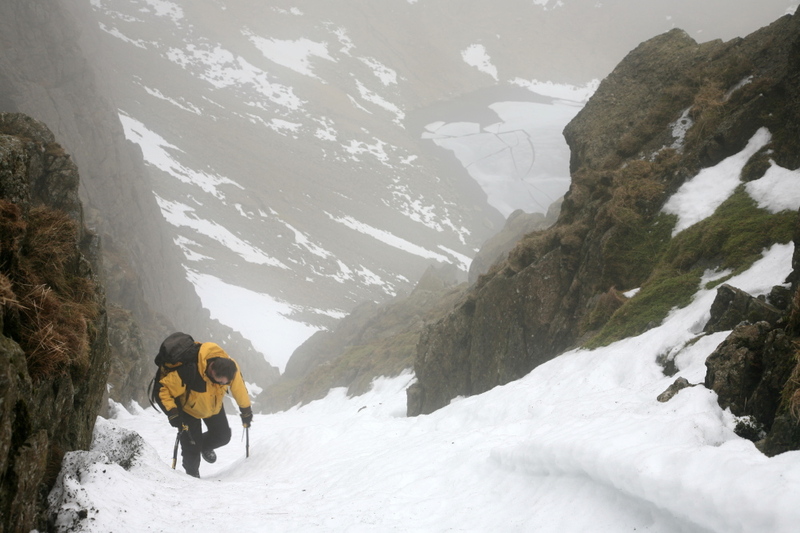 When I moved to Cumbria In 1980, I knew that avalanches were know to occur in Scotland, but I hadn’t really thought about them being a problem in the Lake District. 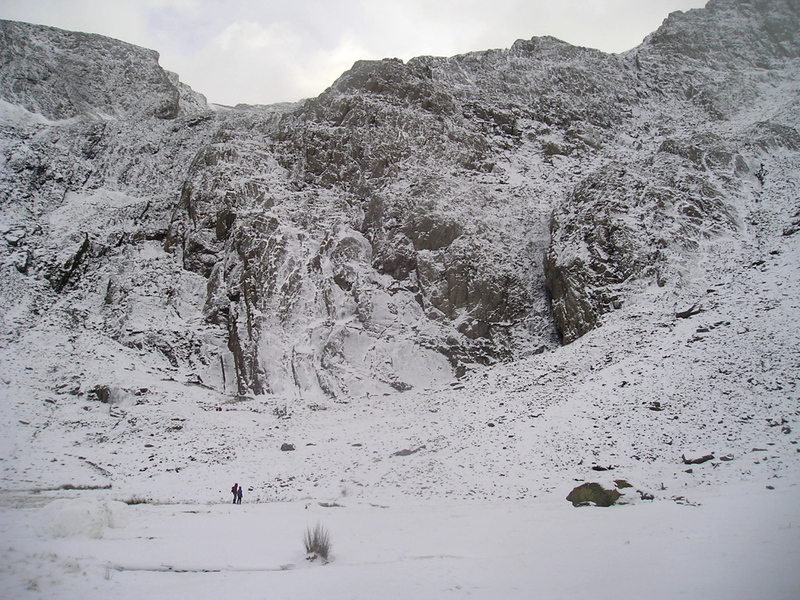 That was until 18th January 1984, when an avalanche blocked the road north out of the village of Mungrisdale. 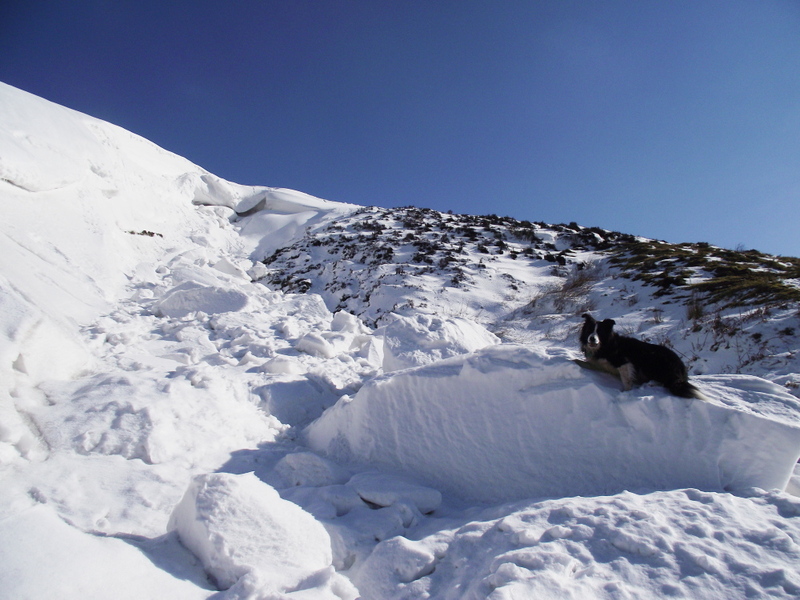 I was training a search and rescue dog at the time, and search dogs from Keswick Mountain Rescue Team were tasked to check the debris to make sure that there was no one underneath it. 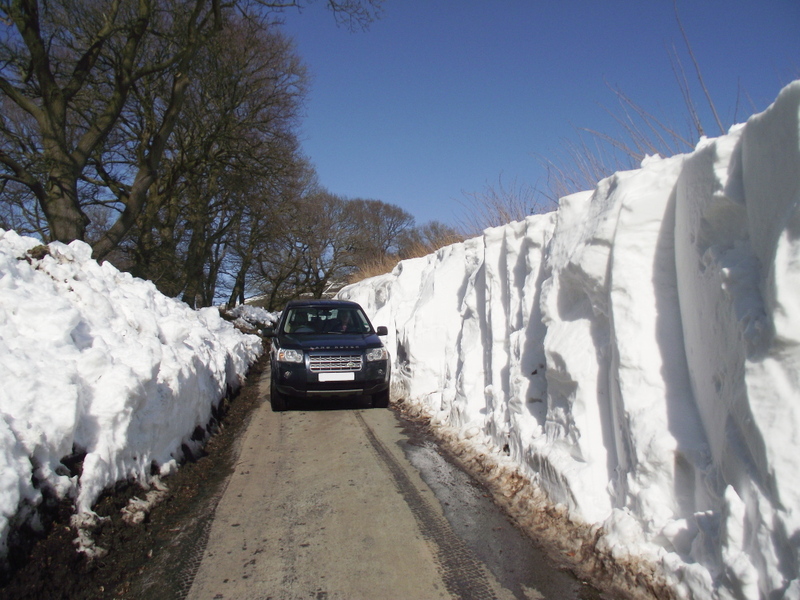 The avalanche had travelled about 500 ft, and blocked the road for almost 100 ft – it was small by Scottish or continental standards, but you wouldn’t have wanted it down the back of your neck! 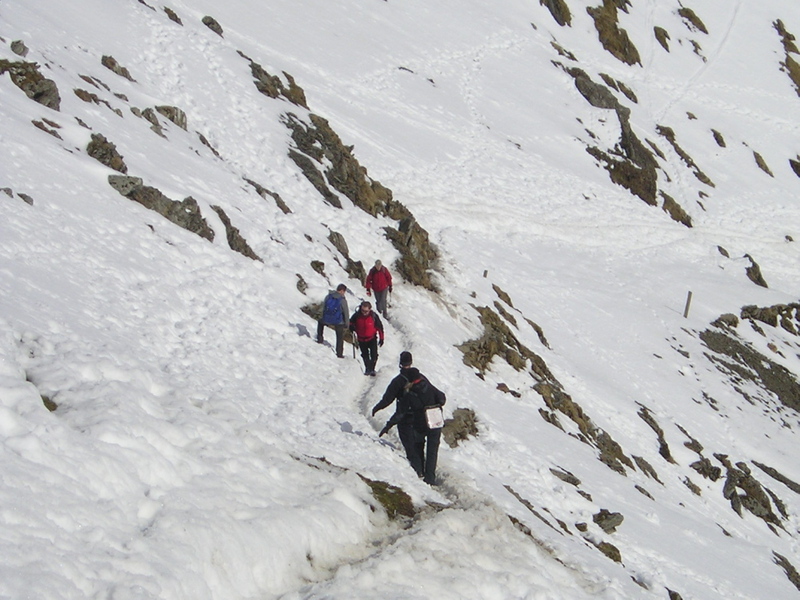 It has been estimated that worldwide there are about 1,000,000 avalanches a year – most of these will never be witnessed, and are a result of natural processes, but occasionally people are caught up with an avalanche, and as often as not it is an avalanche that the victims have triggered. 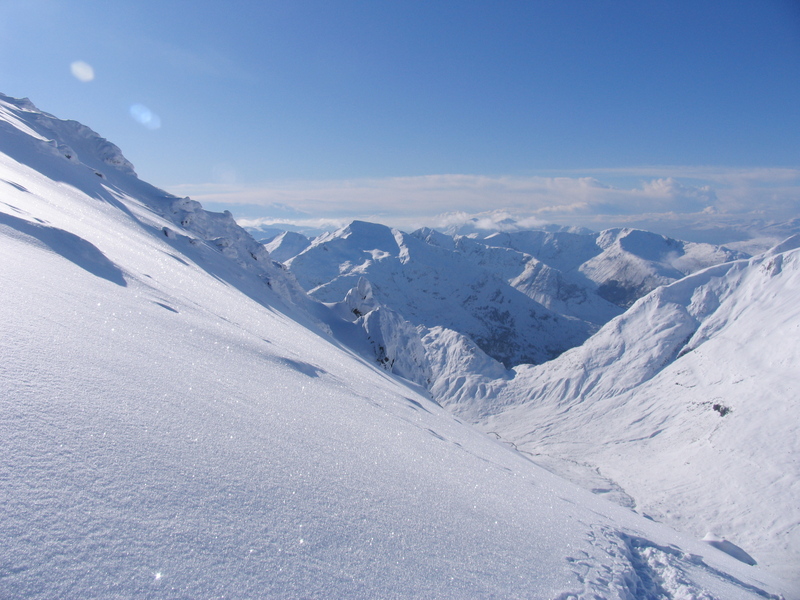 The easiest way to describe an avalanche is that it is an unstable mass of snow and ice that slides down a slope, usually with devastating power. 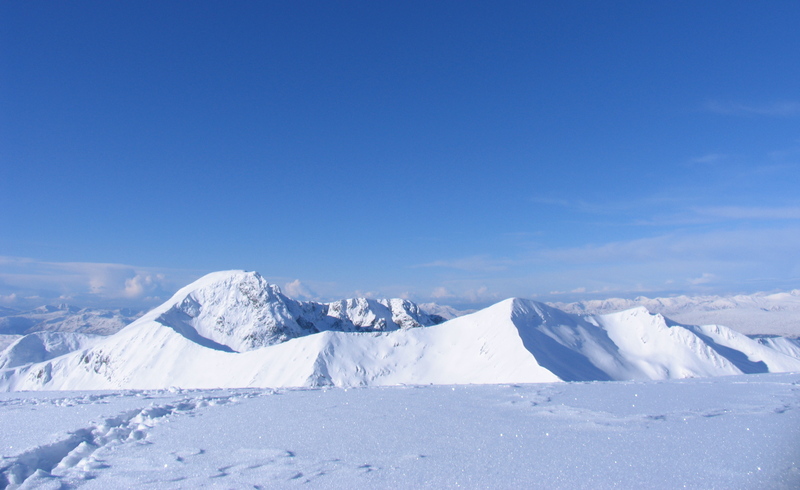 The conditions required to trigger an avalanche are usually a combination of the weather, the terrain and the condition of the snowpack. 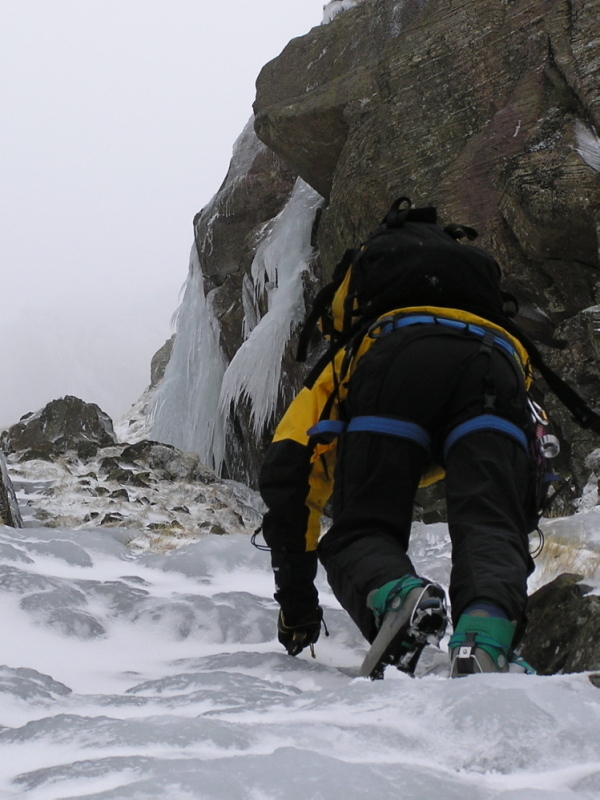 These factors are known as ‘The Avalanche Triangle’, often with an additional fourth factor – the human element. The accompanying photos show a variety of landscapes around the UK and beyond. 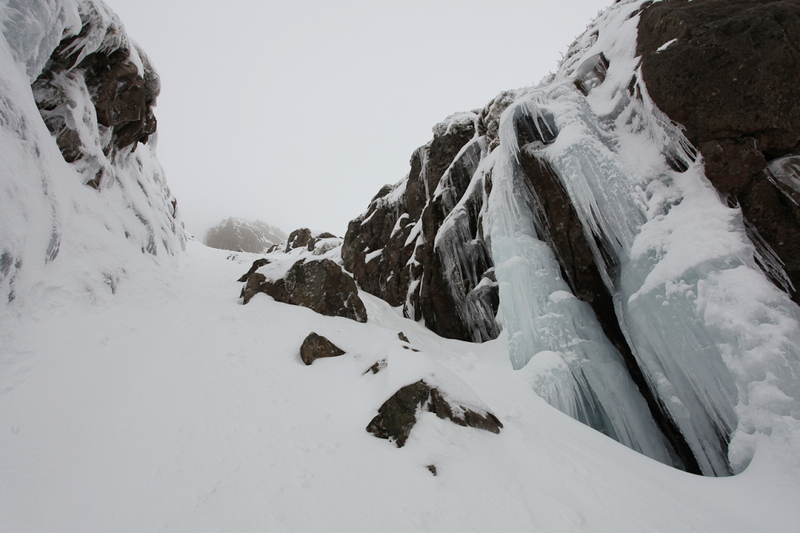 These are the kind of places that you might be wary about, and perhaps consider avalanche danger, but even the most experienced can be caught out. 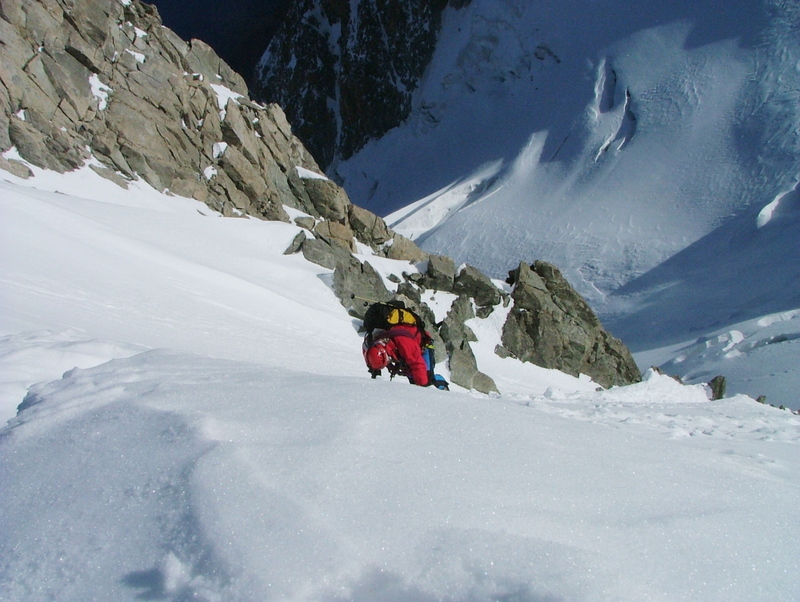 In 2012, British mountain guide Roger Payne was killed with his two clients in an avalanche accident on Mont Maudit – six other climbers were killed in the same accident. 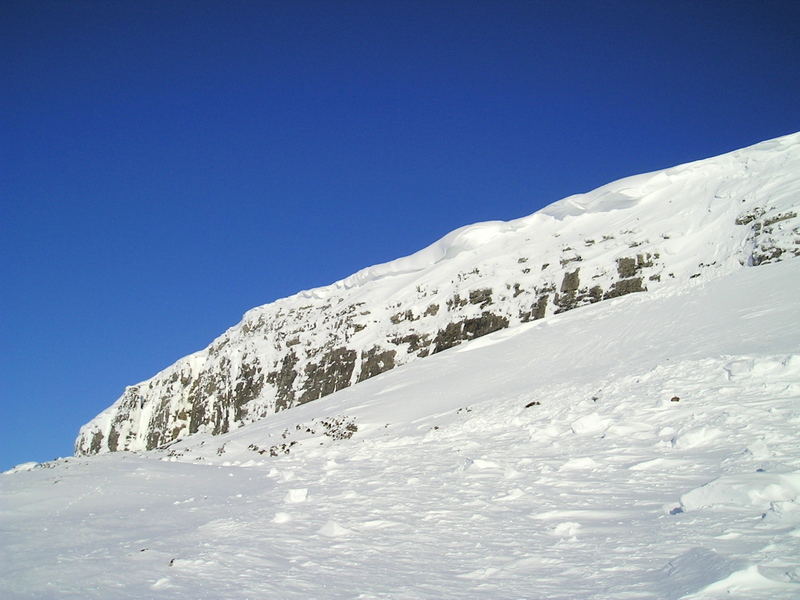 Climbing in the Alps might be regarded as being more hazardous than a day out in the hills of the UK, but even a relatively low area such as the Yorkshire Dales cannot be regarded as avalanche free. 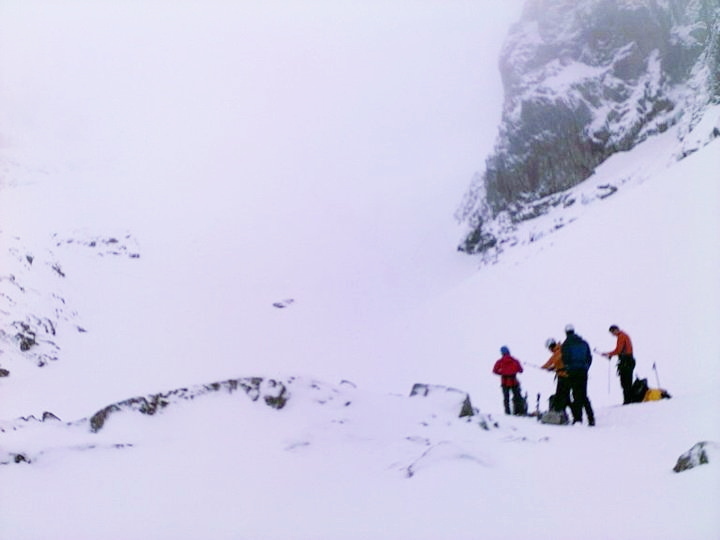 The only answer is to be avalanche aware, to check the weather forecasts, and to learn how to recognise potentially dangerous areas. 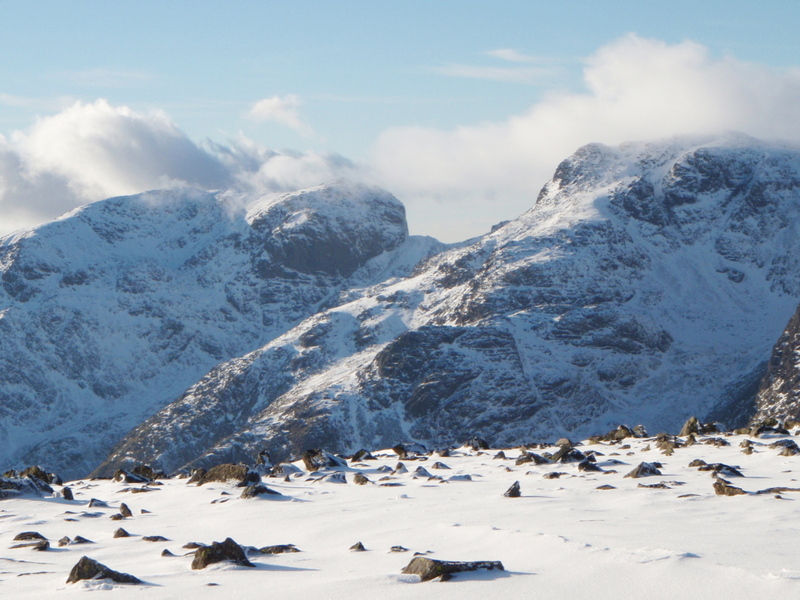 So, with avalanche warnings out for Scotland, the Lake District and Snowdonia, I stayed on my local hills this weekend. The Clwydian Hills mark the northern end of the Offa’s Dyke Path, and most of the range is 400-550 metres in altitude. Moel Llys y Coed is 465 metres high, and at 400 metres on the Offa’s Dyke Path I came across avalanche debris. The slide was small, but some of the blocks were almost the size of a telephone box, and would have caused serious injury or worse to anyone caught in it. 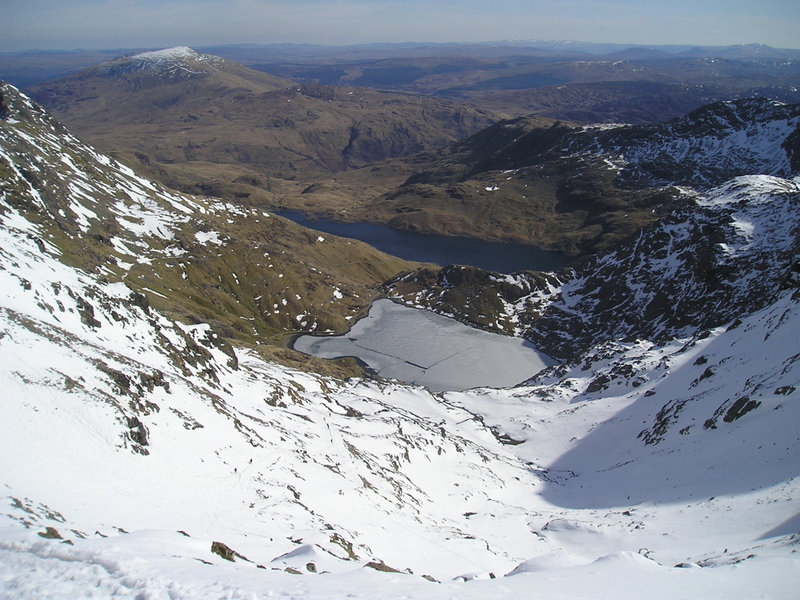 Moel Llys y Coed – note the size of the blocks of snow! The worst ever recorded avalanche disaster was in Peru in 1970, when 80,000 people were killed in a catastrophic slide of snow, ice and rock. 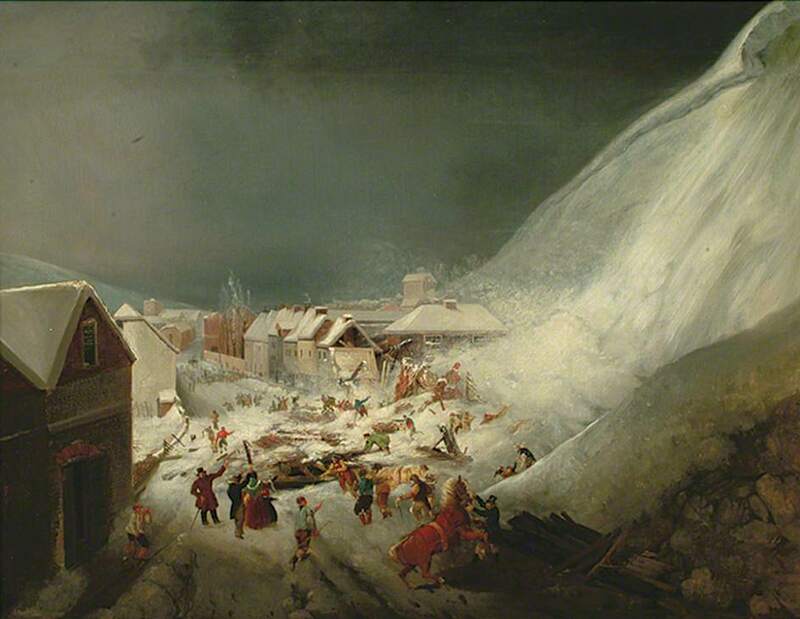 Compared with that, we have escaped lightly in Britain – our worst ever avalanche accident in 1836 claimed only a mere eight lives. It wasn’t in the mountains of Scotland, though. It wasn’t even in Snowdonia or the Lake District – it happened in Lewes in Sussex, about as far from a mountain as you can get in the UK! p.s. 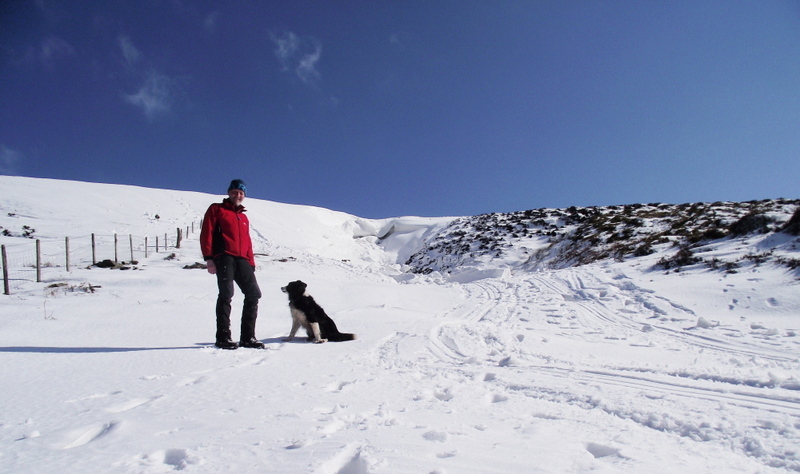 Having managed (thankfully) to keep clear of avalanches on my trips to the hills, I didn’t have a huge stock of avalanche photos, so I’ve used the opportunity to include some pretty snow pics by myself and mountaineering mate John Bamber – enjoy! p.p.s. 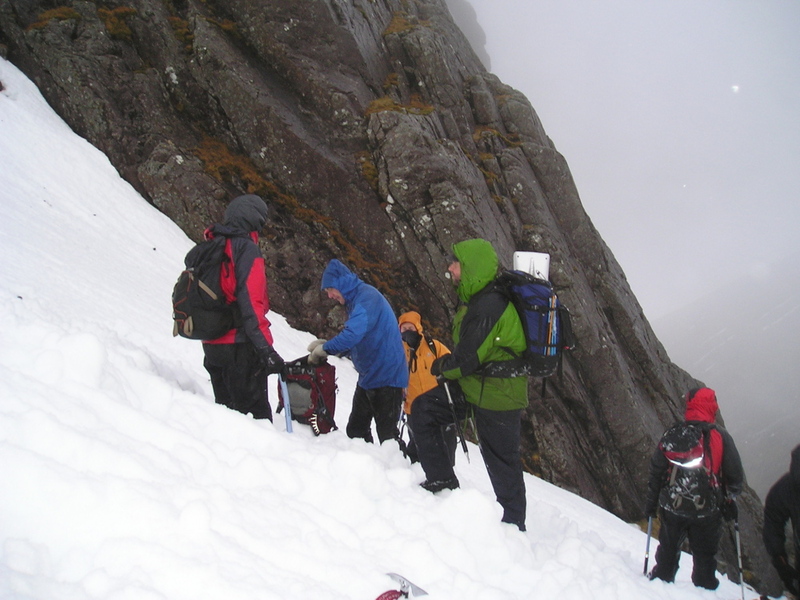 It’s a bit late for this year, but if you are a regular hill-goer it is worthwhile booking on an ‘Avalanche awareness’ course – it may save your life! This entry was posted in 1. Scotland, 2. Lake District, 3. Yorkshire Dales, 4. Northern England, 5. North Wales, 6. Mid and South Wales, 7. Everywhere Else! 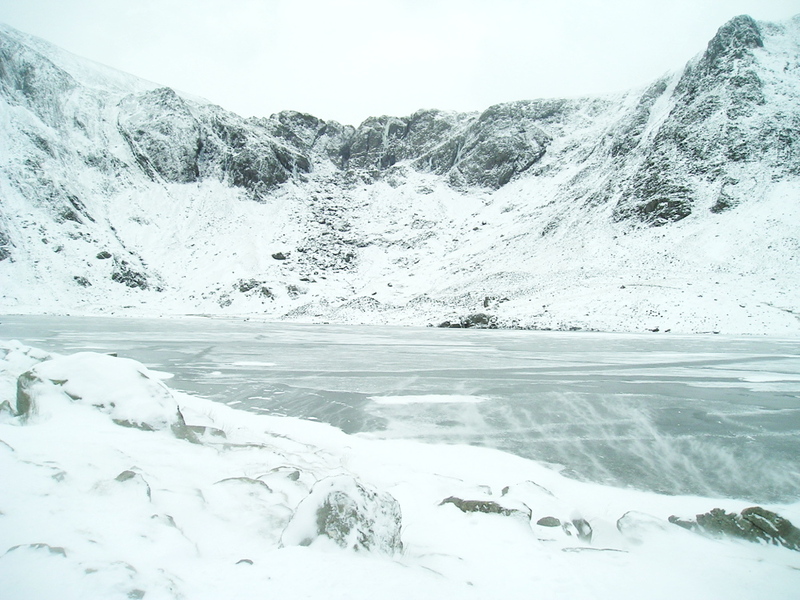 and tagged Cumbria, mountaineering, mountains, photography, Scottish Highlands, Snowdonia, winter. Bookmark the permalink. 17 Responses to #124 – Avalanche! Thanks for the comment Neil – much of the credit goes to John for his fine images. Super bunch of images from you and John, Paul. 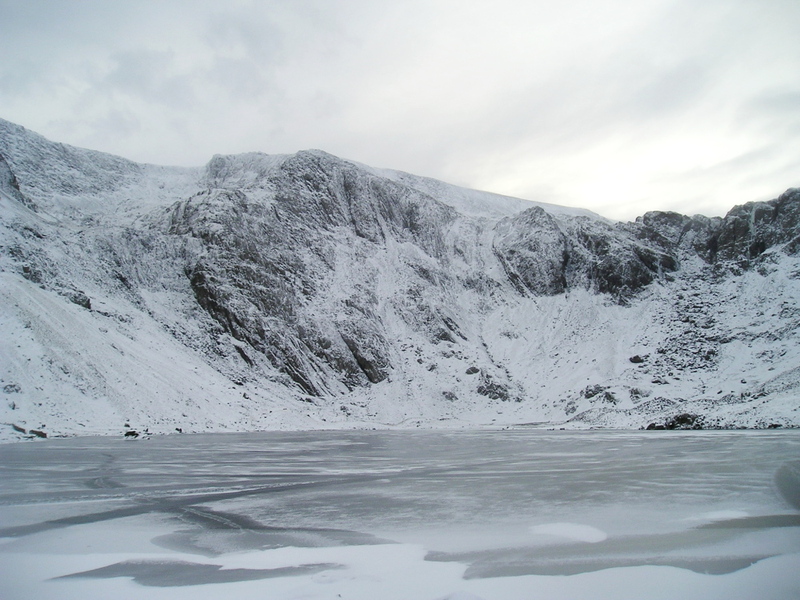 I think we forget that avalanches can occur in the UK, and clearly far too many go into the mountains unprepared in winter. A well written reminder for us all. 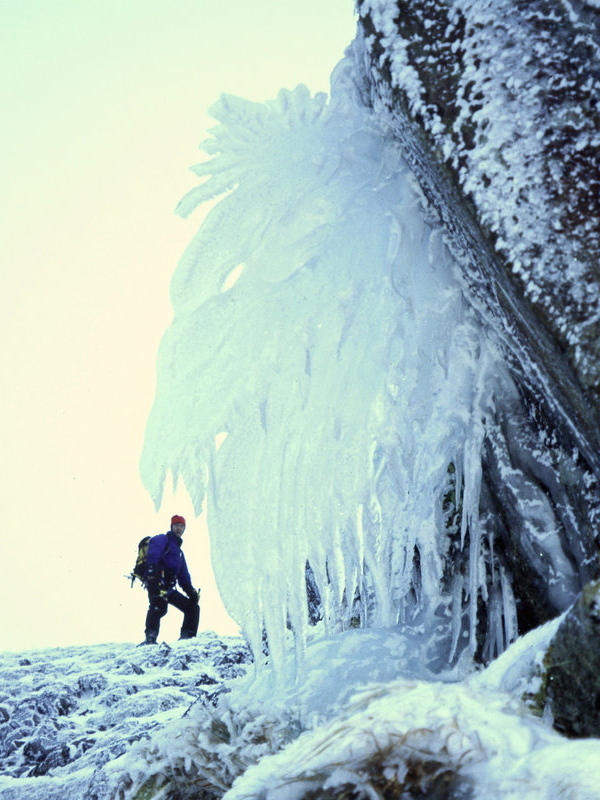 Superb photos – especially the UK ice ones – that’s some icicles on the third(?) photo! I’m thorough sick of the ice and snow now and heartily wish it would b*gger off! I’m due in the Cuillin in about 5 weeks and am panicking like mad in case there’s still snow and ice there – I find it bad enough without! 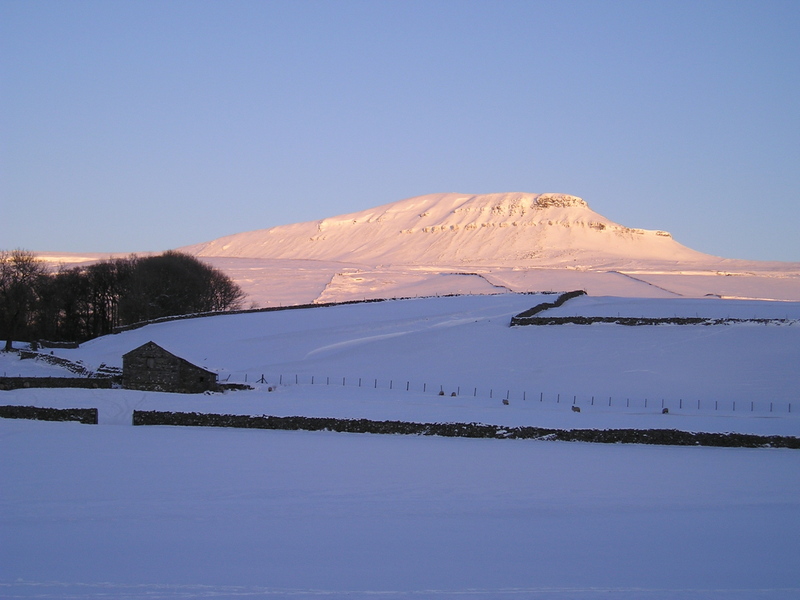 I’ve been meaning to try to get up the Dales to look at Penyghent and the other two 3 peaks summits but haven’t managed to get there yet – too much working 😦 But, coming back from the climbing wall in Harrogate tonight I did see a car was still buried in one of those mammoth hard-frozen snowdrifts like that road in your photo – half the car is now showing so maybe they could dig it out now. 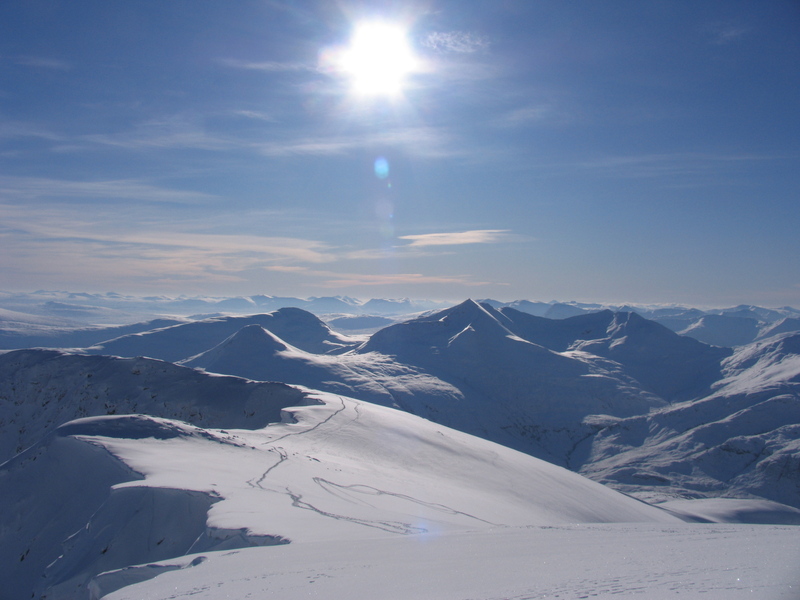 It’s been a rum old winter hasn’t it – a month back it was (almost) T-shirt weather, and I packed away the ice axe and crampons, but look at it now! You’ll probably be OK for Skye if it’s five weeks off – the snow never lingers on the Cuillins, being so near to the sea. 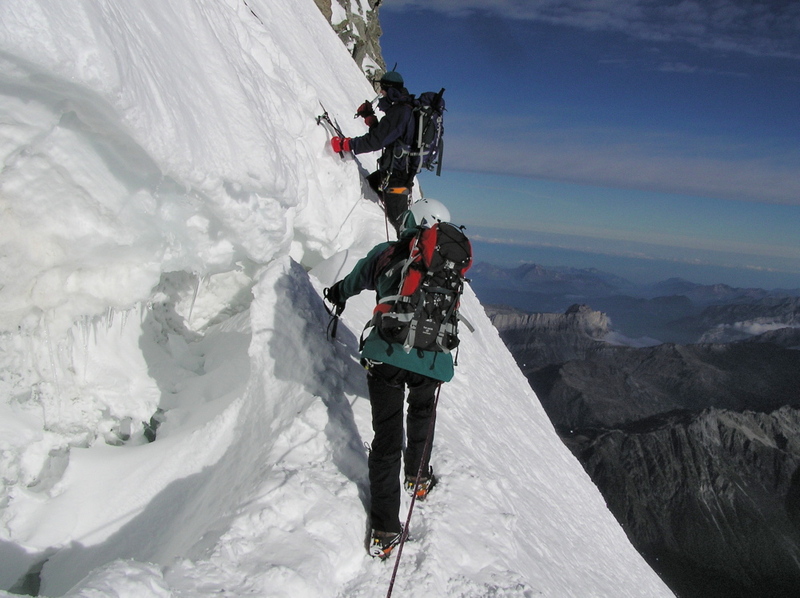 Looking forward to the trip report on that, it’s been years since I did the ‘In Pinn’! 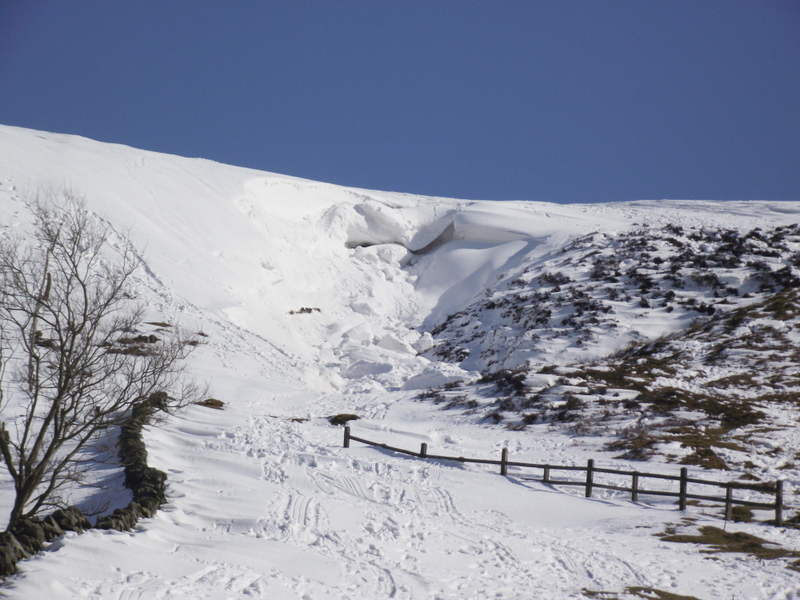 You just don’t think of getting avalanches in the Uk – it is more of a ‘big mountain’ thing…but your superb post is a warning to us all- and superb photos to boot. Well, you certainly know how to grab a reader’s attention with a title. 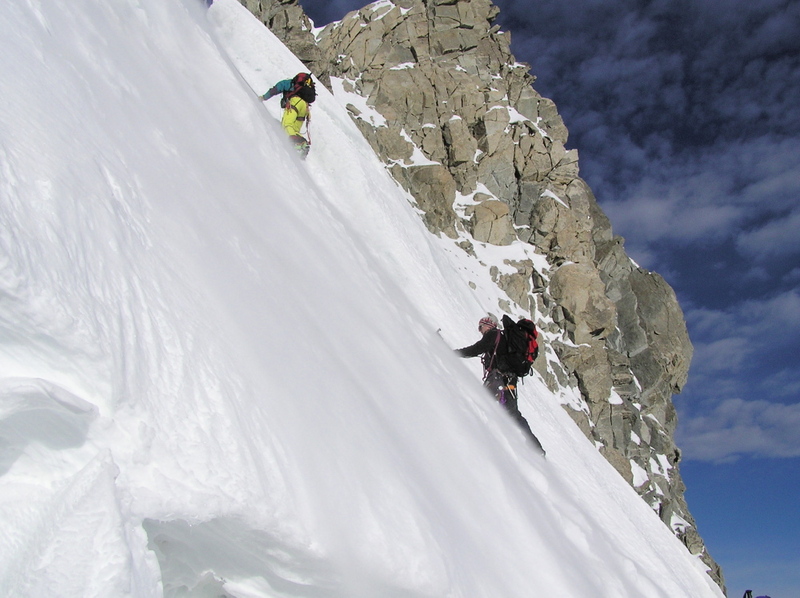 A blog about mountaineering with a post entitled “Avalanche!” I was worried for a moment! Glad to hear you hadn’t been caught up in one though. Another great post. Thanks for sharing. Cheers Lance – yep, you gotta grab the reader whilst you can!